South Gloucestershire Council’s Leader and Deputy Leader are set to embark on a tough 220km challenge: cycling to every school in the district to mark Children’s Mental Health Awareness Week (4-10 February, 2019). The task is particularly challenging for the pair as they are inexperienced in cycling, with Cllr Savage not having been on a bike in around a decade prior to training. By taking on an active challenge, they hope to reflect the awareness week’s message of “Healthy: Inside and Out”, demonstrating the link between physical wellbeing and positive mental health. The Council has issued grants this year of £1,000 or £2,000 to 10 schools taking part in the South Gloucestershire Schools Mental Health Award and The Councillors will stop off along the ride to visit some of those schools to see how they are using the money to make a difference and improve mental health amongst their students. Councillor Hunt said: “To be truly healthy, it’s not just what we see but the hidden factors. 50 per cent of mental health problems are established by the age of 14 and we need to tackle this growing issue to allow the best start in life for all our children. Helping the Councillors in their training is Paralympic Gold Medallist, Andy Lewis MBE, who has been offering his experience and knowledge to prepare them for the journey ahead. 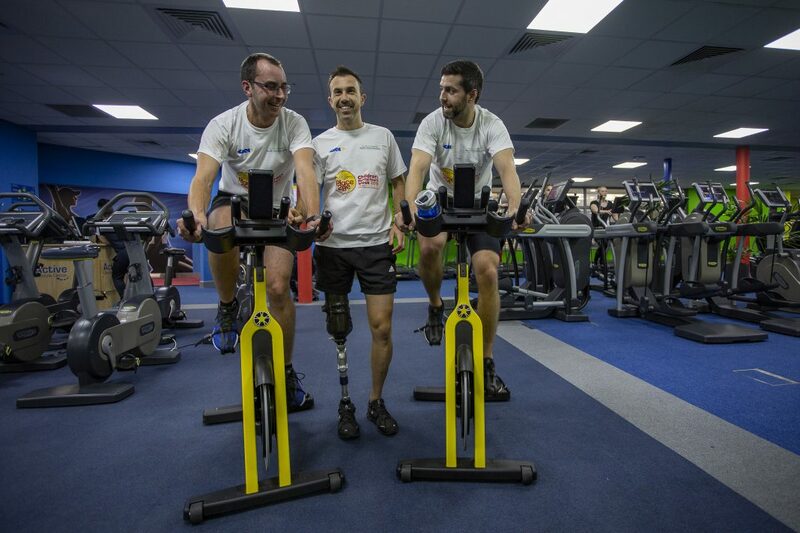 As part of the preparations, the reigning Paralympic, World and European champion took the pair through their paces during a public training session at Bradley Stoke Leisure Centre on Wednesday, 16 January. Andy Lewis said: “As someone who has personally suffered from mental health issues, I know the positive impact being active can have. Working in schools over the past few years has given me the chance to promote the importance of wellbeing, but there is always more that can be done. The bike ride is being sponsored by local businesses, including South Gloucestershire-based aerospace firm GKN with a donation being made to Place2Be.